Back then, the four of us devoured everything in sight, from town to town, district to district, and from north, south, east to west of Perak.The sheer delight of travelling, sight-seeing and tasting local food while working was thrilling to say the very least. At least, back then, work was never mundane, the higher authorities none too controlling nor annoying, and the many pleasant food discoveries along the way imbued us with a sense of pride and satisfaction in our job. And then, one by one, they started to leave. First TallGal, then FCOE. Leaving me and KYT fending for ourselves in this most hostile of environment. Mr Z joined in the fray soon after, the hand model holding the Ching Han Guan’s irresistible Lotus Paste with Meat Floss Biscuit. Slowly, the Makan Gang grew with the addition of two more members. (No nicks yet, I am too flustered with the state of things as of late). 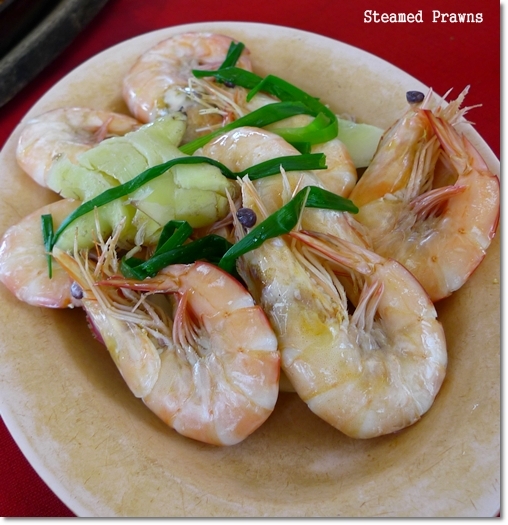 “Pak Cheok Har” – Plain, steamed prawns with Ginger and Scallions. Anyway, we were back in Sitiawan for a short stint last week. Initially planned for a meal at Michelin Star Restaurant on Jalan Lumut of Sitiawan, but the grandiose ambience, luxuriously chic-sounding name (yeah, MICHELIN STAR, dear readers!!! ), and the eatery resembling more of a Chinese diner than a casual ‘Chu Char’ restaurant had us thinking twice before stepping in. To anybody who had dined there before, please send me your recommendations, the type of cuisine they serve, the prices, and whether it’s worth a visit? 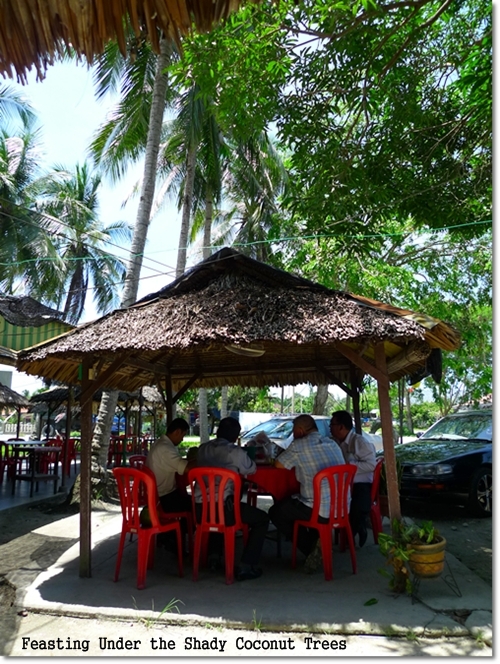 And so, we ventured back to the same old, tried-and-tested Villa Seafood Restaurant in Kampung Cina of Sitiawan. I have written about this place once (click HERE for the review), back when FCOE and TallGal were still with us. Marmite Chicken, Stir-fried “Choy Tum”, Or Chien (Oyster Omelette) and Fresh Fruits on the house. In Kampung Cina of Sitiawan, there are two famous names when it comes to fresh seafood, and of course the highlight of the feast that sets them apart from the other seafood outlets; Toddy, or coconut flower wine. One was AMU Coconut Villa, while on the opposite side of the road, is Villa Seafood Restaurant. But strangely this time around, we did not see AMU but instead some other name replacing the signboard. Have they moved or changed management? The gravy was thick, starchy and redolent with the taste of seafood. KYT’s nightmare …. LOL. Dragging KYT along for the meal forced us to limit the orders for seafood. However awkward that may sound, as people usually go all the way to Sitiawan for the seafood alone. But he’s slowly adapting, for he took 2 prawns without any unpleasant tingling or itch. Higher threshold of allergy perhaps? The lunch was satisfactory, capped off with a complimentary serving of cut papayas on ice. 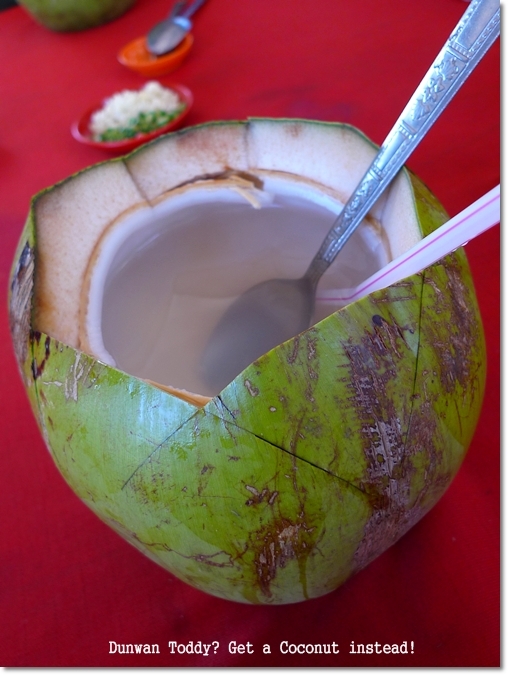 Instead of toddy, we had fresh coconut water instead. After all, we still had to work after lunch. Not really professional to be all flushed and tipsy while meeting your customers, no? The meal came to RM68/USD19.40 for the four of us. No 119, Kg Cina, 32000 Sitiawan, Perak. BUT they’re relocating to a new outlet soon !!! No 384, Kg. Cina, 32000 Sitiawan, Perak. Directions : Coming from Ipoh towards Lumut using the Lumut Highway, turn towards Sitiawan town when you see the signboard on your left. Go straight until you reach Sitiawan town, and a crossroad traffic lights, with KFC on your right. At this intersection, turn left and go straight. You’ll passed by 2 schools, and go further until you reach ACS Secondary School.Turn right at the next traffic lights after the school. Go straight until you reach another traffic lights, but go straight this time. You will reach Villa Seafood Restaurant on your right. For the new location, just go straight from the older location. Once you reach an intersection, take a left and after 1km, you will see the new outlet on your left. A clear, peppery broth greets you at Chai Chin in Sitiawan, specializing in their Teochew style of Bak Kut Teh, and steamed fish heads. Now what if you’re one who’s allergic to seafood (many, many folds worse than KYT) and seeking for some other cuisines in Sitiawan instead? Of course you will not resort to Kentucky Fried Chicken or Pizza Hut, nor a bowl of refreshing James’ Cendol can satiate your hunger. So you give up and travel all the way back to Ipoh for food? Nah, you can try some authentic Foo Chow cuisine (Bei King and Happy seem to be good choices, as is Lido, but I have yet to try the latter), or go for Bak Kut Teh along Jalan Haji Mohd Ali (the road leading to Kampung Acheh – turn RIGHT at the KFC intersection if you’re coming from Ayer Tawar-Ipoh’s direction). Not as robust as the Klang’s version, but with a peppery tinge, and more diluted. Even the sliced pork was not the darker, braised for hours version. Passing by Chai Chin Restaurant one afternoon, while coming from Kampung Acheh’s direction towards Sitiawan town, we were surprised at the LARGE signboard fronting the main road (scroll to the end of this post for the shot), and the immense crowd that afternoon. So we walked in, half expecting to be served with ‘Chu Char’ dishes, but instead was greeted with the enticing aroma of herbs and spices. And claypots, with bottled condiments such as soy sauce, dark soy sauce and containers with chopped ‘cili padi’ and minced garlic. And this could only mean one thing; BAK KUT TEH’s IN THE HOUSE !!!! Notice the chopped scallions, and drizzles of dark soy sauce on the rice? Different from the fried shallots and dark soy sauce combination of Klang’s. The Bak Kut Teh as Chai Chin’s was not the average Hokkien’s version, like the one in Klang. Of course, even in Klang you can find a myriad of BKT, from traditional BKT in bowls to claypot version as well as the intensely-flavoured dry version. Read my post on Klang’s Bak Kut Teh to further confuse/tantalize yourself. Instead, Chai Chin serves the Teochew Bak Kut Teh, in a much lighter and clearer broth. The soup tasted peppery with a mild herbal hint, and generously garnished with chopped scallions. The slices of pork (we had the half lean-half fat portion only) looked rather bland and pale, but went well with the side dip of soy sauce + dark soy sauce + cili padi + garlic. We had to forego the idea of sampling their other signature dish of Steamed Fish Head. We glanced at the servings of fish heads on the other tables, and were astonished at the gigantic portions. Definitely meant to be shared, don’t order recklessly! The meal came to RM33.00/USD9.40 for the three of us. Telephone : 6012-461 2383, 6012-599 3456. Directions : From the intersection traffic lights in Sitiawan town, with KFC on your right, take a RIGHT turn towards Kg Acheh. Going straight will take you to Seri Manjung/Lumut, while left will take you to Kg Koh/Kg Cina. 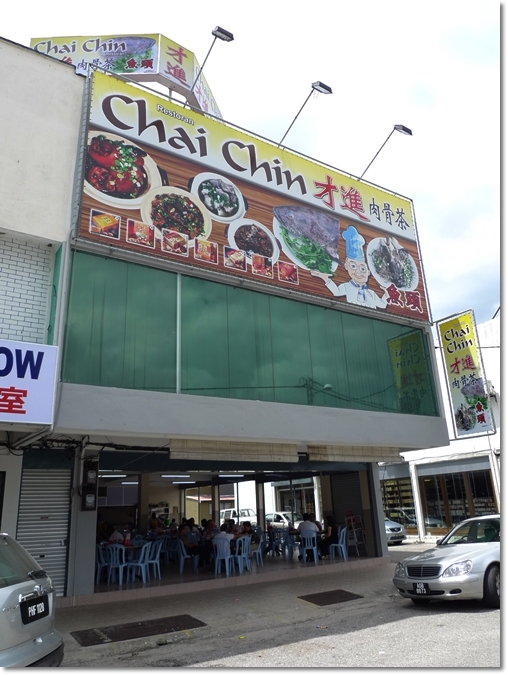 Chai Chin Restaurant is situated on your LEFT, before you reach Caltex Petrol Station on your right. Yeah, but weekend getaways should be okay. It’s just about 60km or so from Ipoh anyway. Sure, think about it, I will be in Sitiawan tomorrow again. Maybe, just maybe, we have a chance at trying the Michelin Star restaurant. Let’s hope so. Not all, just me. Hahahaha … I love Or Chien, had my palate sharpened back in Penang. wow wow wow… papaya~~~ i want!! I am sure you miss the work as well. Somehow. Hahahaha ….. how about the PEOPLE?! I heard Sitiawan is famous for a type of biscuit Kong Peang? Yeahloh, come lah Bee. Come n makan together. Hehehe …. Kong Peah I have written before. Just had a crunchy, hot from the oven, Char Siew and Onions one this afternoon. Perfect I tell you …. 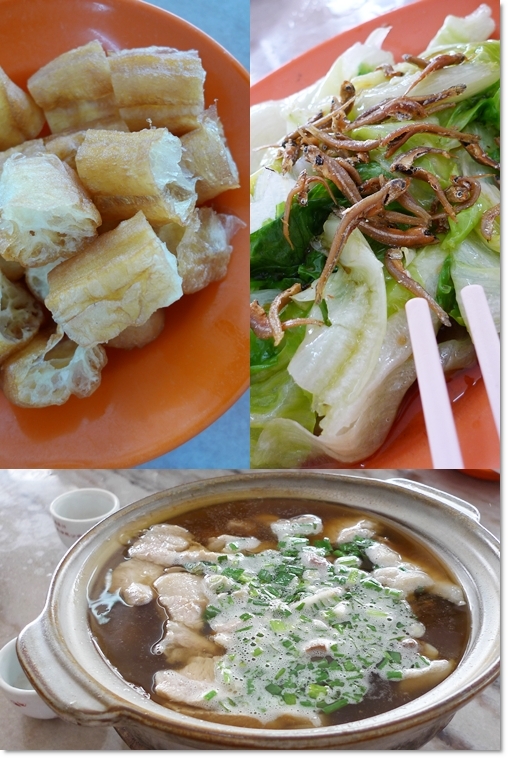 Great food in Sitiawan…a place where I have plan to visit for a long time but have yet to do so. No sweet and sour pork. Hahhaa, colleague upgrade jor !!! Can take seafood a little. They’re moving soon. But around the corner only. So take note ya? If not nanti you go on your bike several rounds wondering where in the world is Villa already …. 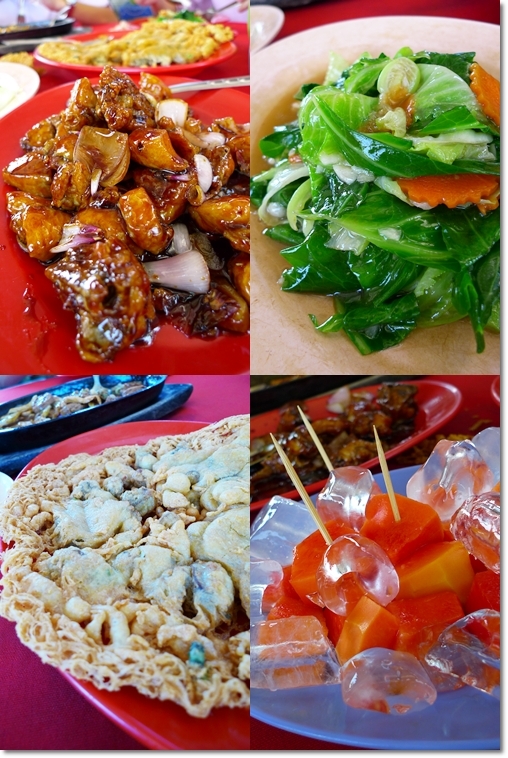 Sitiawan’s seafood is very fresh… right? Yeah, very near to the sea ma, hence the fresh supplies. Pantai Remis one also not bad. Yeahloh, first time I had that in Penang. So clear, like ‘ching tong’ only …. Please don’t go to Michelin Star. They serve Cantonese style cooking. Restaurants in Ipoh serve better dishes. How about the taste, Mun Yip? Delicious? Normal? Worthy? Okay, thanks Mun Yip. You’re a local in Sitiawan? I would like to hear some recommendations on best Foo Chow food there, or in Ayer Tawar, or Manjung. I am not a local. My fiance’s from Sitiawan. But she is not very adventurous eating out. 🙂 Need to infect her with Ipoh tastebud. Michelin Star name was taken from a very posh & highly rated restaurant in UK as I was told.Name was given by the owner son who is now working in UK. The owner is from Ipoh & d eatery is founded jointly by owner of one known restaurant next to Jusco/Kinta City, However he withdrew subsequently. Food is aint that bad & churn out Cantonese dish. 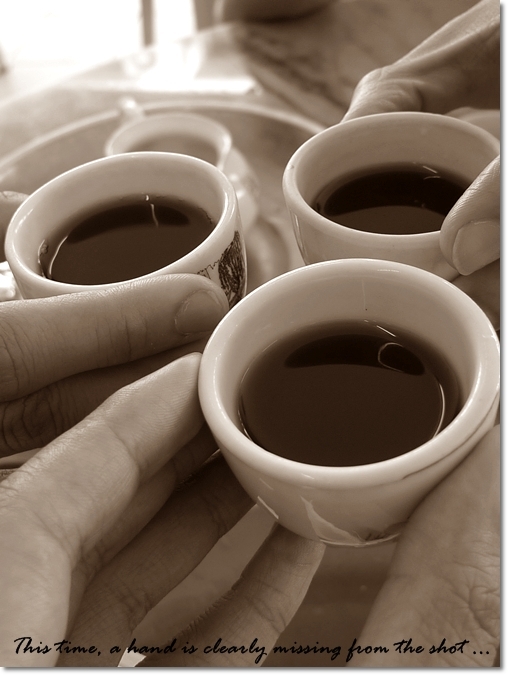 Its popular with the locals as it is simply switch of taste to them. Cant expect to eat Hock Chiew seafood all time. But as someone mentioned you can have much better Canto fare in Ipoh. Place is jam packed during weekends.Service is inconsistent but it is certainly largest Canto restaurant in Sitiawan. Kok Thai? That renowned restaurant near Kinta City? 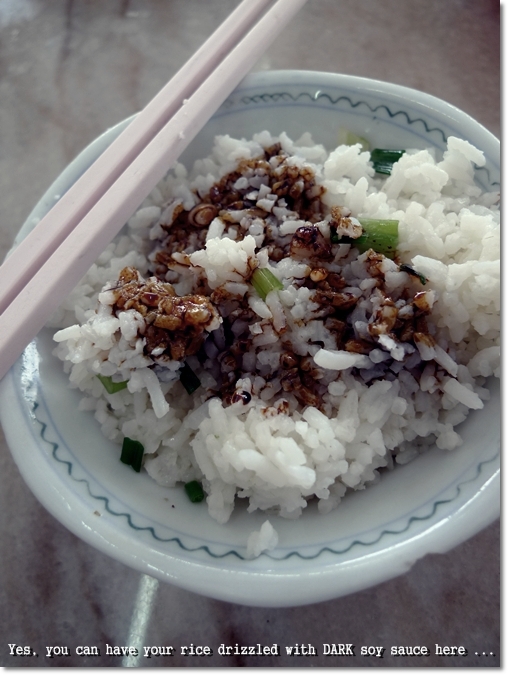 I don’t mind eating Cantonese dishes, or Hock Chew dishes in Sitiawan. Heck, I even ate Malay food, and Western fares there. Price is a little pricey for small town..but its as compatible to Kok Tai. Try out 777 restaurant for local hawker fare. But its at nite. Oh I think I have a rough idea. Restaurant’s pricing range I guess …. typical. We don’t usually work until night, hence I have yet to try 777. I know where it is already, thanks, HuLK. 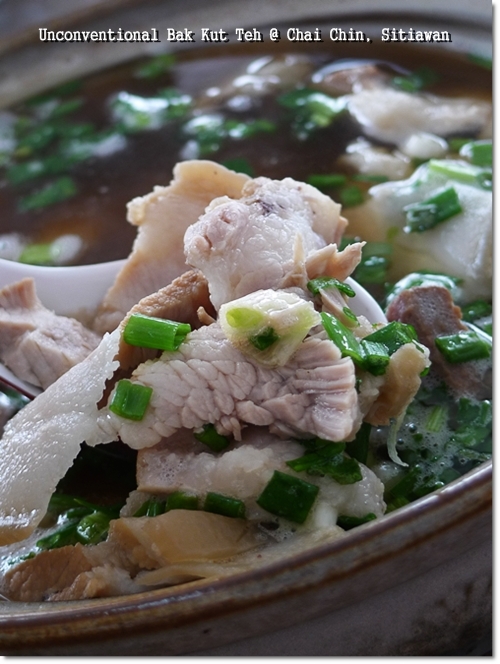 Hei, u should try G&J Bak Kut Teh too… it’s on the same row as Chai Chin but on the other end. The steamed fish head there is more awesome that Chai Chin IMHO. So is the Bak Kut Teh, but it’s the thicker version. And yeah, fish head portions for both the shops is huge and they use grouper so it’s kinda expensive (around Rm 70-ish). Michelin Star is quite affordable cos all the prices are on the menu. But just as someone mentioned, any restaurant in Ipoh can beat it hands down. Yeah, DAMN huge grouper fish head. We were stunned, really. Plus a friend’s not a fan of fish, let alone fish HEAD! So we spared him the order. And had to be contented with BKT only. Thanks wzer. Do drop by often. I am seeking to find the best Foo Chow food there is. Hi J2Kfm, is that a call sign as the Ham in Malaysia starts with 9m….. Recently I was in Restoran Makanan Laut Villa after my mum’s funeral, I do give AAA rating for that shop. Cheap, nice and you won’t be disappointed. Melbournian food critics. Do go and find out the place near Taiping. It is a tin shed like Laut Villa, off the the street and it is opposite a small chinese temple. It is famous for seafood congee. It has the best spicy soft shell crabs and other seafood dishes I tried for a long time. The crabs do have dried shrimps n curry leaves. Very yummy. Check it out. Melbournian food critic. Regarding Villa Seafood, you did u try their seafood tom yam? i love them. it’s very spicy and flavourful. you can go with meehoon which can be ordered separately. Hi Lil’ thanks! Heard about the famous Under Jackfruit Tree, and another one serving turtle/tortoise soup or something. Right? I have been to Pantai Remis a few times, but always too early for lunch. yes ‘Under Jackfruit Tree’ and their prawn crackers are superb…with lots of crispy prawns on top. yum yum. there are also very good laksa, prawn noodles, curry noodles here. served differently from the ones in ipoh. and of course mantis prawns. 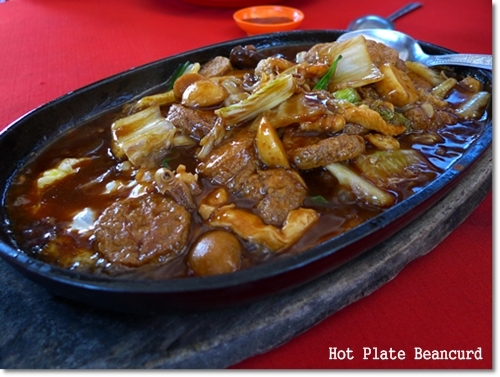 for the Villa seafood, have u try the sizziling o-jian? it’s so yummy and different dishes. Sizzling Or Chien? I highly doubt so … the one we had was the crispy version served on usual plate. CHAI CHIN RESTAURANT fish head is super nice! Must try. Thanks Pamela. We wanted to, but one out of three of us was not a fan of fish heads. And the sheer size of those was intimidating! Yeah, almost similar menu from what I saw. But this Chai Chin has a HUGE signboard that was hard to ignore! 19.03.2012 the day i try the new Villa Seafood. The food is okay. The boss Is okay. the problem is the lady boss. Quite rude. I has order a red wine chicken, instead they give me beancurd chicken so i had to order them to take back the untouched beancurd chicken. But the red wine chicken never arrived at our table. So when we checked the bill it was stated ‘chicken rm 16’ so we tell the lady boss to subtract the chicken amount. Rudely the lady boss says that we are troublesome. You should really try GJ Restaurant. The bah kut teh they serve there is delicious! Not to mention that you got to try their speciality stir fried fish head in bean sauce. Would love to see you do a review on GJ restaurant! Cheers! Hi there. I ran across your blog site the use of bing. This is a nicely published write-up. I’m going to you should definitely bookmark the idea in addition to come back to find out more within your handy information and facts. Just write-up. We’ll definitely recovery. Hi. Just want to know if there’s any Chinese restaurants in Sitiawan that doesn’t serve pork or use lard in their cooking?